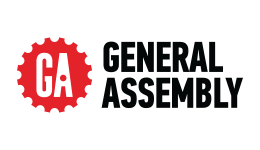 Learn sought-after skills for solving some of our biggest business problems with this practical online Data Analytics course from General Assembly. A rapidly growing field, data analytics responds to the insatiable need of modern businesses to leverage data for strategic decision-making and problem-solving. Data is an integral part of successful business, and this industry-relevant online course sets you up to contribute in a growing field. In this course you’ll learn how to identify, manage and analyse large sets of data for use in decision-making and planning, and will build strong skills in Excel, SQL and Tableau. With opportunities to use real-life data sets and learn from industry leaders, this course will ensure you build sought-after skills in a flexible environment, enabling you to immediately grow your career. If you like solving problems and want a competitive new edge to your career, this course will give you the skills, opportunities and experience to get there. Upon successful completion of this course you will obtain a certificate of completion of the Data Analytics Part-Time course from General Assembly. This qualification will enable you to demonstrate skills, abilities and experience in the in-demand field of data analytics, and may enable you to pursue new employment in a role relating to data, strategy and decision-making. After completing this course, you may choose to seek employment as an analyst, data analyst, or database manager, or develop in your current role by taking on responsibilities relating to strategy and decision-making. The fee for this course is $4,500.